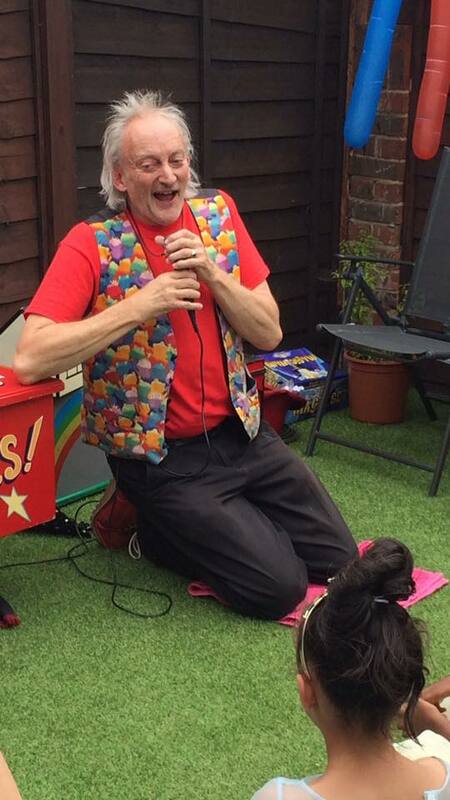 The 2 hour games and magic show starts with 45 minutes of all inclusive games, featuring music games, a short story to get their breath back, then a series of very popular, fully participative parachute games. There is then a break of @ 20 minutes for food and drink, and then the magic show starts. 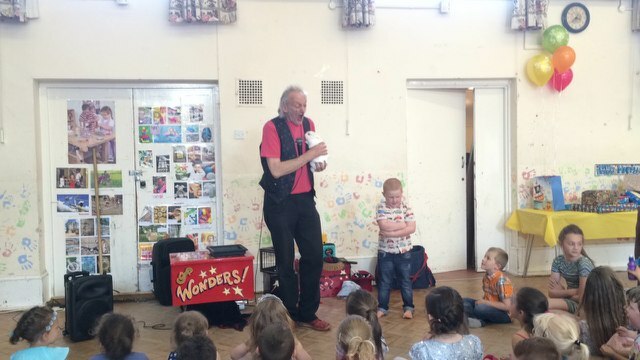 The magic show is a comedy show, targeted at the specified age group. It consists of magic, balloon modelling, and a hilarious puppet routine that children of all ages find very funny. All helpers in the show also receive a magic set. The 2 hour Spectacular also features the magical production of Flash, a real live bunny. This is made by the birthday child, so all the kudos is directed towards the little magician. He or she receives a magic set to keep as a souvenir, and hopefully inspire them to perform magic on their own. The birthday child, who is the star of the show, also receives one of Mickys special balloon models. Book the 2 hour spectacular, and relax.